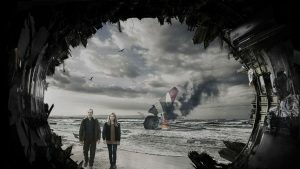 CPTV is pleased to announce that The Tunnel: Sabotage, the second season of the mystery-thriller series The Tunnel, will air on CPTV’s new sister station, CPTV Spirit. The Tunnel: Sabotage will air on CPTV Spirit Saturdays at 10 p.m. beginning August 5, 2017. After their Saturday broadcast, episodes will encore the following Monday at 3 p.m. on CPTV Spirit. In The Tunnel: Sabotage, pragmatic, meticulous, and newly promoted Commander Elise Wassermann (Clémence Poésy) and laconic but brilliant DCI Karl Roebuck (Stephen Dillane) reunite to investigate the case of a French couple abducted from the Eurotunnel. But the case is complicated when a plane carrying British and French passengers crashes into the Channel, killing everyone on board.